On Sept. 4, the new presenters for Nippon TV’s nightly news show, “News Zero,” were introduced at a press conference in Tokyo. It’s not unusual for TV stations to revamp current affairs shows, but the new version of “News Zero,” which premiered Oct. 1, has attracted more than the usual measure of attention because of its new anchorperson. Yumiko Udo was an announcer at NHK for 27 years before resigning in spring. Numerous media outlets competed for her services, with Nippon TV eventually winning. The network hired her for “News Zero” and then decided to replace most of the show’s roster, predominantly with young women. “I feel like the madame of a geisha house,” she said at the time. The new “News Zero” premiered without further incident and in its Oct. 6 “News Q3” media column, the Asahi Shimbun said Udo “made a good start.” Nevertheless, the Asahi Shimbun felt obliged to analyze her geisha comment and the reaction to it more closely. The column cited a tweet by former TV presenter Keiko Kojima, who questioned whether female newscasters were employed as presenters or offered little more than decoration, which is how she interpreted Udo’s remark. However, show-biz reporter Hiroyuki Sasaki believed that people were reading too much into it. All Udo was saying was that she was older than everyone else. Such self-deprecation was “typical of her style.” Columnist Nameko Shinsan surmised that Udo’s comment was a means of selling herself. She had secured a desirable job and needed to defuse any envious feelings on the part of viewers and fellow professionals. However, the remark highlighted something other than just the age discrepancy. 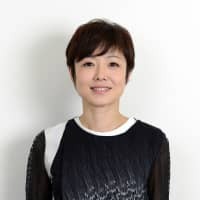 Udo had burnished her brand as a “good talker” on NHK, where such a skill is difficult to cultivate owing to the public broadcaster’s overreliance on scripted content. For years Udo hosted NHK’s popular morning information show, “Asaichi,” where she developed a breezy style that kept things interesting and moving along. Thanks to her image, she was able to quit NHK in middle age without any negative career repercussions. 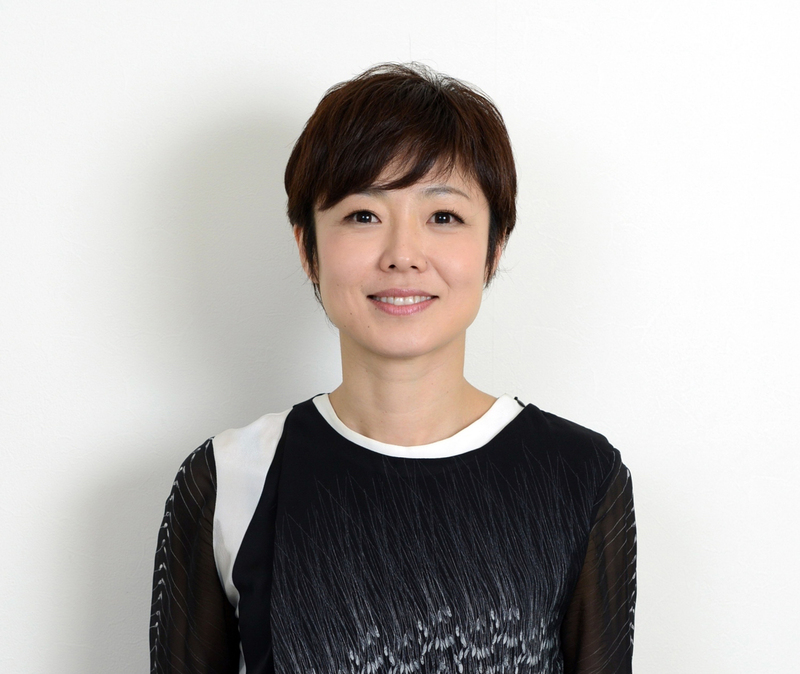 NHK even released a statement after she announced her resignation on March 31 and wished her luck, an unusual move that, according to Gendai Business, indicated the broadcaster would welcome her back on a contract basis at any time. So, by referring to herself as a “madame” and her new colleagues as charges, a hierarchy was established, even if that wasn’t her intention. Gender studies associate professor Natsuno Kikuchi of Nagoya City University told the Asahi Shimbun that Udo’s remark was “careless,” since the geisha system was created under a patriarchy, and thus it reinforced the current structure of TV, where women are still hired for their appearance. Web magazine Litera made a similar point in relation to a different presenter. In late August, it ran a story about TV Asahi’s nightly news show, “Hodo Station,” which was also undergoing a makeover. The magazine had earlier reported that the show’s chief producer was being replaced by someone supposedly close to Prime Minister Shinzo Abe. “Hodo Station” had always been a thorn in the side of the current administration and the content has since become less confrontational. In Litera’s view, “Hodo Station” has been dumbed down, with less analysis of current affairs and more sports. However, the most significant change has been the loss of presenter Ayaka Ogawa, who had been with the program since 2011. According to the weekly magazine Bunshun, Ogawa was bullied out of her position by anchor Yuta Tomikawa, but Litera prefers to think that TV Asahi’s management, in order to facilitate the new tone of “Hodo Station,” wanted to dull its journalistic edge and so transferred her to a different job within the company. Over the years, Ogawa had transcended her “decorative” function to tackle real reporting, usually on social issues. She was insightful, critical and questioning. Udo says she quit NHK to do newsgathering herself. After all, she originally applied to NHK for a reporter’s job. She may get the chance on “News Zero,” but so far the show is even fluffier than it was before she joined. Like many daytime “wide shows,” it spends most of its time on sensational stories, celebrity gossip and in-studio chatter, all of which Udo serves up with her legendary fluency. “News Zero” was never a model of hard-hitting journalism, but it’s now gone further into infotainment. By coincidence, another NHK veteran left the organization this summer, but with less fanfare and some bitterness on his part. Journalist Fuyuki Aizawa told another NHK alumnus, Jun Hori, during the latter’s radio program on Oct. 11 that he had been informed in May that he would be transferred to a nonreporting position within the company. Aizawa was responsible for an NHK scoop last year about the suspicious land deal secured from the government by private education corporation Moritomo Gakuen for a new school. Aizawa, who worked for NHK’s Osaka branch, believed that the story’s suggestions of favoritism in the government, which oversees the public broadcaster, had outraged senior NHK management in Tokyo, and he assumed that was the reason for the transfer. Since he wants to pursue the story further, he resigned and now works for a local newspaper. NHK made Aizawa a reporter, and then the broadcaster tried to take away his vocation. Udo also left NHK to do journalism, although it’s not clear at this point if anyone will let her.